I recently returned from a couple of weeks of research in Italy — a week and a bit at the Biblioteca Marciana, Venice, and two days at the Biblioteca Capitolare, Verona. 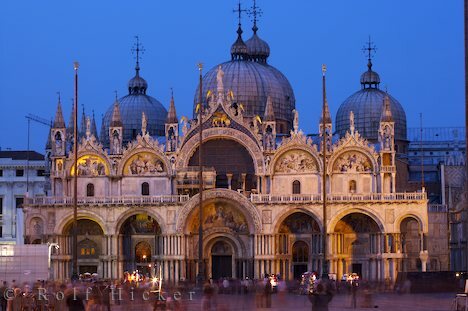 The Marciana is located quite near the magnificent Basilica of San Marco, pictured at left. 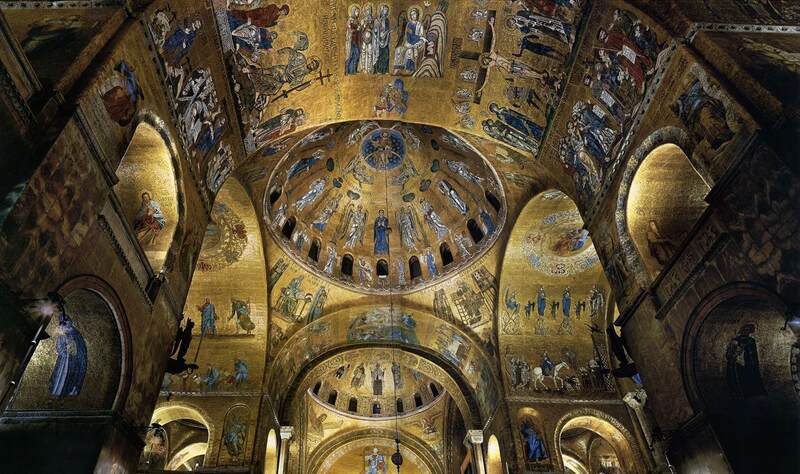 I, therefore, had many opportunities to visit San Marco and its mosaics. 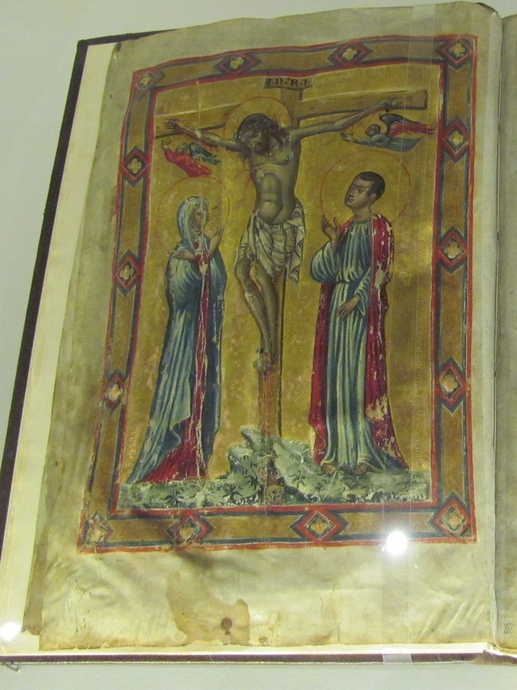 The style of art that predominates in San Marco is called Veneto-Byzantine (my other blog on that); it is very similar to Byzantine iconography but also shares traits with Romanesque (no surprise, since both directly descend from Late Antique Roman art). Today’s title takes a quotation from Rowan Williams’ book The Dwelling of the Light: Praying with Icons of Christ — icons are theology in line and colour. This is evident throughout San Marco. It is a truly beautiful space. The golden field represents heaven. The iconographical plan of the main domes is Christological. As a visitor coming from the West, you encounter the mosaics in anti-chronological order, but they begin in the East with the rising sun, with the golden apsidal half-dome of Christ Pantokrator, the all-powerful. Above the chancel is the Dome of the Prophets, foretelling Christ with the Lord Himself in the centre. The next dome is the Dome of the Ascension, then the Dome of Pentecost, then the Dome of the Last Judgement. As the sun traces its trajectory, so does the story of Christ. The Ascension Dome and the Christological vault. Click on the image to see it fullscreen. In between the domes of Pentecost and Ascension is the Christological vault. 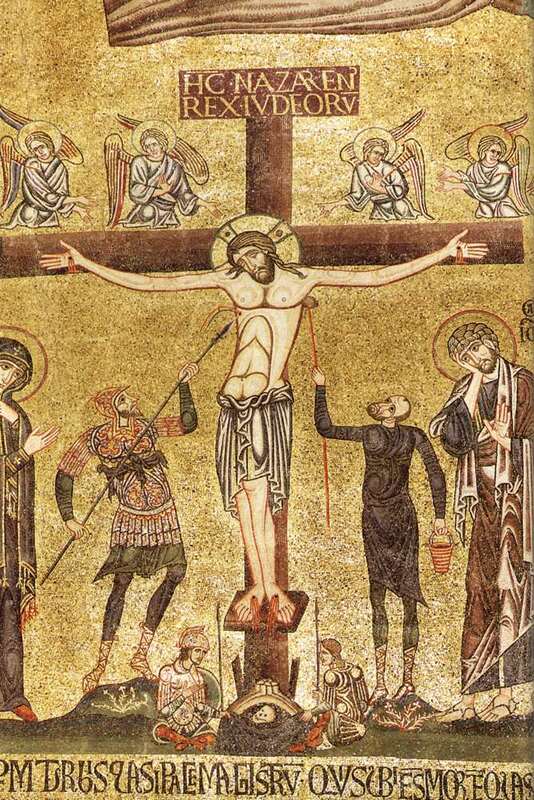 On one side stands the Crucifixion, on the other the Resurrection (portrayed in the Byzantine manner as what we would call the Harrowing of Hell), and in the centre the Empty Tomb. Below, the mosaics tell the story of Christ’s final days. What is the theological significance of the main decorative scheme? The apsidal mosaic reminds us — Christ Pantokrator, Christ Almighty, Christ our God who was crucified for us. Christ who lives and saves us. There has often been a temptation to deny the fullness of Christ’s divinity, from certain Gnostic groups to Jehovah’s Witnesses. 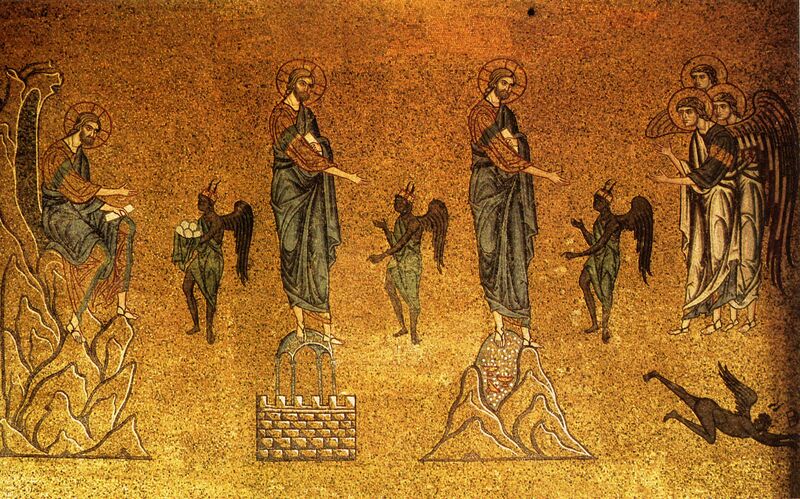 San Marco calls us to worship Christ as fully God. In the atrium, we see this in the depiction of the creation. For whom do we see making the animals? The cross in the halo gives away who this young, beardless man is — it is God the Son, the living Word, Christ, who creates. Yet He is not merely depicted in glory, but also on earth; we see not only his last moments, as I mentioned above, but also the Garden of Gethsemane, the temptation by the devil, and some of his teaching ministry. The other temptation has been to deny his full humanity, from certain Gnostic groups to those who claim he was an alien — or those whose vision of him as God would swallow up the man he was as well. 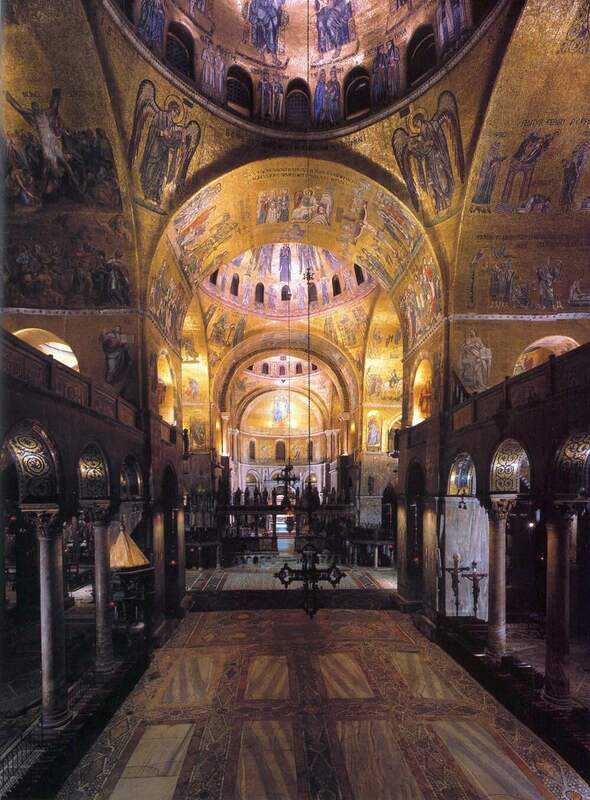 San Marco’s mosaics are a testament to the full humanity and full divinity of Christ. They are a reminder of what the great theologians of history — Athanasius, Augustine, Cyril, Leo, Aquinas, Palamas — have sought to balance in our minds as we think on our Lord and Saviour. And they do it through a medium accessible to all — the domes of a basilica.